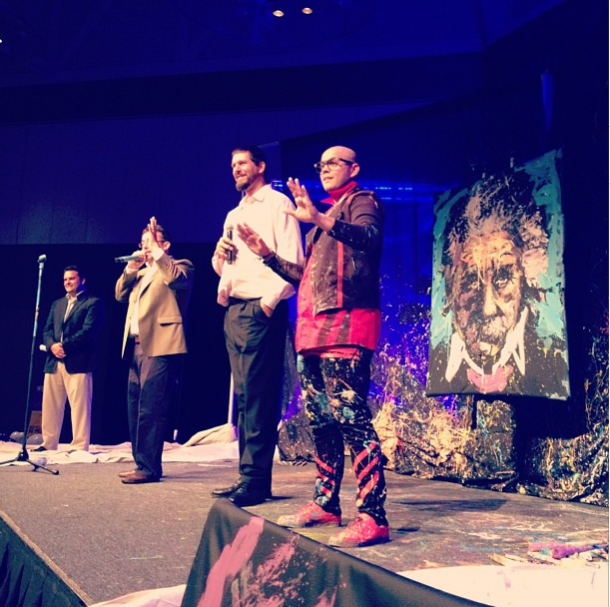 Garibaldi joined former NBA player Brad Miller for his annual fundraiser in Fort Wayne Indiana. The event benefits the local Big Brothers and Big Sisters program. Garibaldi was on hand to perform and his paintings were auctioned after he left the stage which brought in more then $50k for the cause. We wanted to take time to thank Brad Miller, Big Brothers and Big Sisters, and the generous community members that came together to make a difference!